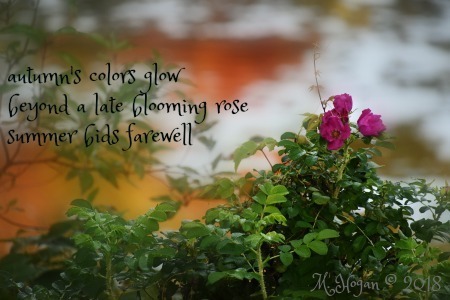 Time has passed since summer officially closed its seasonal celebration of a sunkissed life. I have held onto this season in my heart, recalling sand-swept beaches of Long Island with their heated breath seeping through gentle winds. The salty spray of the Atlantic Ocean taste is still on my lips. With this picture in my mind, I nostalgically longed for lazy, sun-chasing days and nights that were full of light and energy in the late evening UNTIL I recently passed over the Mario Cuomo Bridge. As I crossed the newly girded steel structure leading me to upstate New York, I noticed a hint of color here and there; leaves were different from the green ones of a Long Island summer. Moving further north, the preponderance of multi-colored sightings were evident. Mother Nature, the glorious artist, must have spent all weekend painting the land in warm hues. A newly-awakened landscape emerged before my eyes. 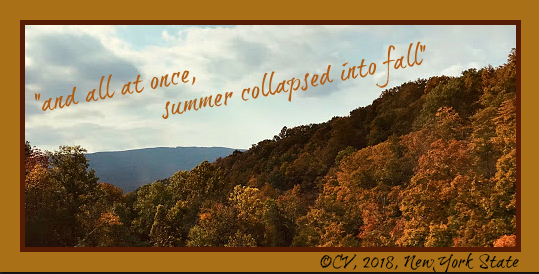 It was in that moment of awareness that I knew summer collapsed into fall, ushering in a new season to savor. 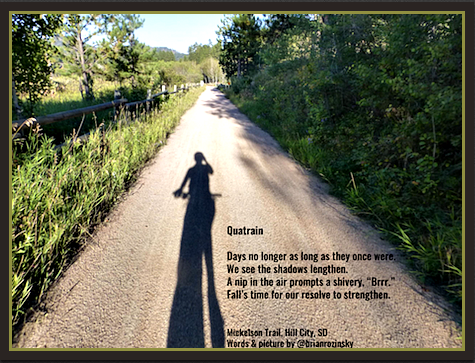 I was in awe of nature's breathtaking change in scenery. The colors emerging from each town's tree-lined highway appeared to be woven into a vast patchwork collage. The sight was awe-inspiring, much more than the first scattered gathering of leaves upon my deck. and so the collecting of autumn photos began. From Maine came Molly Hogan's first sighting. Brian Rosinzky sent the following from South Dakota. 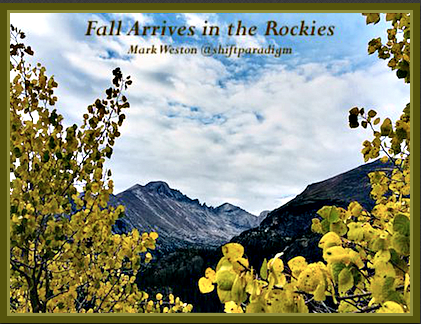 Mark Weston captured an early fall scene while hiking in the Rocky Mountains. Have you ever wondered about the why behind the color change? enjoy watching the 30-second time lapse of summer turning into fall. 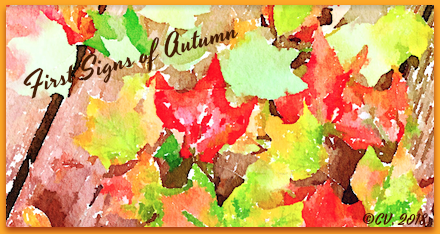 ln case you are still wondering about seasonal color change, please take a quick peek at last year's global gallery of artistic expressions while I continue to explore autumn. Thank you Two Writing Teachers for your Tuesday Slice of Life space. 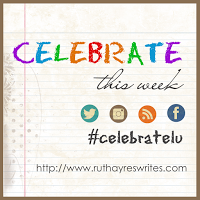 Also, thank you, Ruth Ayres, for encouraging all writers to Celebrate This Week.